The rolling chassis underpinning this lovely Aston Martin DB2/4 was ordered by a close friend of David Brown (owner of Aston Martin, 1947-1972), Mr. J. O’Hana of Casablanca. It was shipped to Allemano Serafino of Torino, Italy where a distinctive coachwork was crafted for it. With its new Berlinetta body and an engine built to DB3 specifications, Mr. O’Hana enjoyed driving and racing the car in Casablanca. The car come to the USA in the late 1970’s to its new owner Alan Lampert. In the early 1990’s Mr. Lampert spent nearly $150,000.00 on the restoration project, only to sell the car to Brian Hoyt before it was complete. Mr. Hoyt, who owns Perfect Reflection, a restoration shop in the San Francisco bay area, finished the restoration and brought the car to Pebble Beach in 1994. All the hard work paid off with this English car winning the “Italian Coachwork Class” which was a milestone at Pebble Beach then. 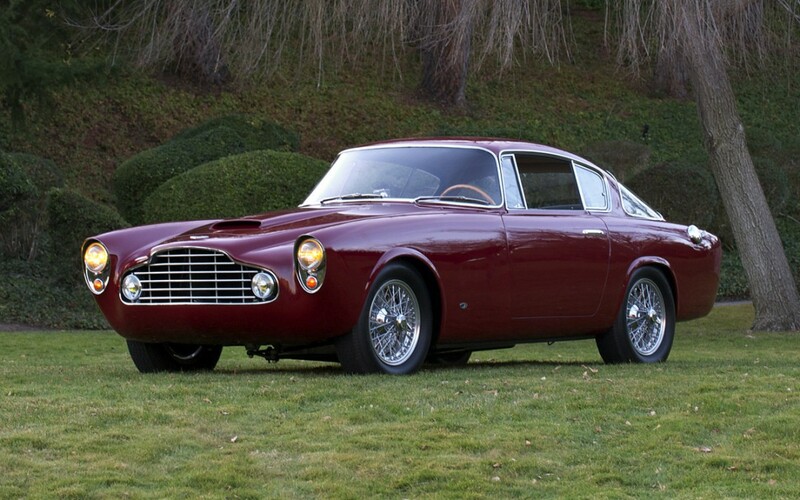 Without a doubt, this is the finest Aston Martin DB2/4 with special coachwork available. Aston Martin Historian and Archivist, Roger Stowers said about this car ” This car must be the best example of foreign coachwork on any Aston Martin”.